Though Bob Geldof continues to take centre stage as a rock musician, playing gigs across the world with the reformed Boomtown Rats, his main influence is as a tireless charity campaigner, a role through which he has gained wide respect across nations both rich and poor. Sir Bob, along with Midge Ure of Ultravox, was a prime instigator in the rock aid phenomenon that began in the mid-1980s, and he has remained a dominant figure in the movement, raising issues concerning famine and disease that result from the extreme poverty prevalent in parts of Africa and in other third world countries. Indeed, he is a major force when bringing these issues to the political arena and can count world leaders amongst the movers and shakers he can call to action. Bob Geldof first came to prominence as the lead singer with The Boomtown Rats, a punk band formed in Ireland in the mid 1970s, which had a string of hit singles, including Rat Trap and I Don't Like Mondays. The band broke up in 1986, but reformed in 2013. In 2005, Sir Bob received the Brit Award for Outstanding Contribution to Music. 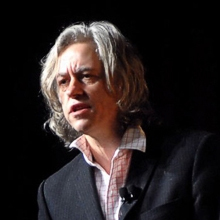 The course of Bob Geldof's life changed forever after he saw a harrowing BBC documentary on the famine that ravaged Ethiopia in the mid-1980s. He immediately realised that he and other leading performers within the pop world could help. This resulted in the formation of Band Aid and the release of the single "Do They Know It's Christmas?" (which Bob wrote with Midge Ure). Featuring various pop stars of the time, the single was a phenomenal worldwide success, raising millions of pounds for famine relief. Geldof and Ure then organised Live Aid, a huge event that took place on 13 July 1985 and which was staged simultaneously at the Wembley Stadium in London and John F. Kennedy Stadium in Philadelphia. It was one of the most monumental stage shows in history, raising many more millions in charity donations. As a result of his work to alleviate famine through Band Aid and Live Aid, Sir Bob was knighted in 1986. He is also a recipient of the Man of Peace title, which recognises individuals who have made "an outstanding contribution to international social justice and peace", among numerous other awards and nominations. Sir Bob has also received several Honorary Doctorates and several nominations for the Nobel Peace Prize. In 2002, he was listed as one of the 100 Greatest Britons in a poll conducted among the general public, despite the fact that he is Irish. While continuing to devote time to charity campaigns, Sir Bob also established himself as an astute businessman in the 1990s through the co-ownership of television production company Planet 24, which was responsible for launching The Big Breakfast on Channel 4. This highly successful morning show ran from 1992 until 2002 and at its peak attracted two million viewers per show. 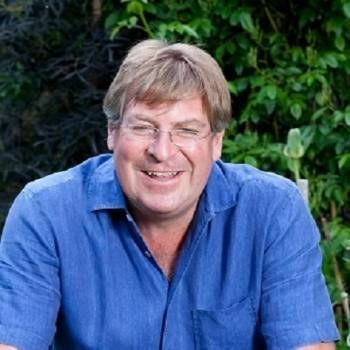 Then, in the late 1990s, at the height of the .com boom, Sir Bob founded online travel agent Deckchair.com, subsequently selling his interest in the company in 2003. 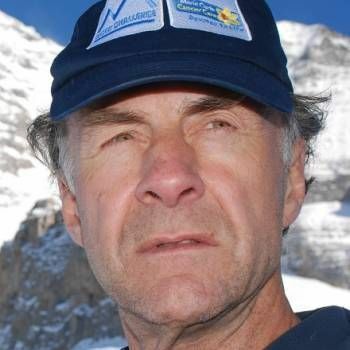 Having already sold Planet 24, Sir Bob and Alex Connock established Ten Alps Communications in 1999, which produced documentaries for the BBC, Channel 4 and Sky, among others. 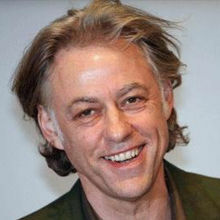 As part of his TV and charity work, he completed a TV series for BBC - Geldof In Africa - in which he travelled through West Africa, Central Africa and East Africa. He has also written a number of articles for eminent publications, such as Time magazine. In July 2005, Sir Bob was at the forefront of the Live 8 concerts which, as with Live Aid 20 years previously, were intended as a global fundraising event. Since 2010, Sir Bob has been working on a private equity investment fund for Africa called The 8 Mile Fund, which is part of his overall plan to support the continent and bring it in line with other growing economies such as China and India. 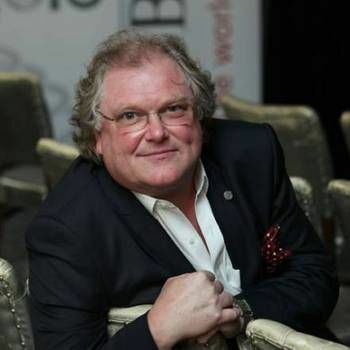 An influential and inspiring speaker, Sir Bob uses his experiences and insight to talk in an informative and entertaining way on a range of topics. He is provocative, uplifting, inspiring, motivating, and always fascinating. To book Sir Bob Geldof, contact a Prime Performers Booking Agent via the online booking enquiry form or alternatively call 020 7251 8222 for further information.